Crisis summit in Nuremberg: In the basement battle, the 1. FC Nuremberg has the troubling FC Schalke 04 guest. For the Royal Blues it is said, lose forbidden, so as not to be dragged deeper into the descent strudel. A victory in Franconia would drive out the descent ghost but. The club is fighting for its last chance. We have analyzed both teams closely to offer you a sound bet tip. ⚽️Will Nuremberg score again in their own stadium? The 1. FC Nuremberg sets to a final spurt on the league. From the last two games, there were at least 4 points, the club remained unbeaten twice. First, the Franks relegation Augsburg beat in front of home crowd 3: 0, on last matchday they brought in Stuttgart a 1-1. Now it goes against the nearest direct competitor. With a great success against Schalke, the team of coach Boris Schommers could move up to 1 point on the relegation place and on 6 points to the Gelsenkirchen. Currently Nuremberg is only on penultimate place. There are reasons for this – the clubbers have only celebrated 1 victory in the last 22 games! In the second half of the season there are 7 defeats in 11 games – the team just scored 6 points. After all, the defensive has improved: If you have conceded more than 2.0 goals in the Hinserie, it was in the second half of the season only 1.36 goals in each game. In every round of the second round, the team can shoot only 0.82 goals on average. This is the 2nd-worst value in the Bundesliga. In the back round table, the club is also at the penultimate place. Nuremberg makes the majority of the points in front of their own audience, 82% of the total point yield was fetched in their own stadium. The 3-0 over Augsburg was only the 3rd success of the season, all 3 wins you drove in front of your own audience. the FCN makes exactly 1.0 point per home game. Also the gate section in the own stadium lies with exactly 1.0. But you also get goals only 1.14 on average. In 10 of the 14 home games under 2.5 hits were marked, last 3 times in 4 games. So we predict a few hits in this game. Both teams will also be more cautious, as any mistake could be punished. The clubbers are late-goal specialists, scoring a whopping 43% of their goals in the last 15 minutes. If you want to bet on Nuremberg, this is best done with a double chance bet with 1 / X – this drops a decent rate. The club goes as an outsider in this encounter. 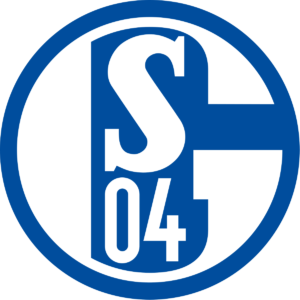 FC Schalke 04 is in the shape crisis even after the change of coach. With Huub Stevens the minions have lost 3 times in 4 games. From the youngest 6 games looked only 1 victory – 1-0 in Hannover – out. 5 times you had to bow to the enemy last. So the Schalke need urgently points in Franconia. 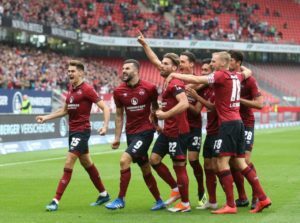 With a full success, they could increase the distance to the relegation zone to 9 points, on the penultimate Nuremberg it would then be 12 points. An away win would bring you good money if you want to tap on Schalke. In our prediction we secure tip 2 but rather with a draw. After all: Schalke could score only against the “little ones”, as the 1-0 in Hannover and the goalless home draw against Freiburg show. Nuremberg would be a similar collar size. We go from points of the Schalke. Especially since this club was able to win 3 times in a row against the Franks. The potential is certainly higher in Gelsenkirchen than in Nuremberg. Schalke also scored as many points away as they did at home – each in 13. Although the Royal Blues lost half of the guest appearances – 7 out of 14. However, the team won at least 3 wins and 4 draws in foreign stadiums. They have already conceded 23 goals in foreign matches, while the team only scored 1.07 goals in each away match. In 4 of the last 5 Schalke away games fell over 2.5 goals. The team also conceded 4 times 2 goals or more, a total of 12 (average: 3.0). Only twice in the recent 19 games the club remained clean sheet. But against the harmless FCN offensive this could succeed once again. For us, these are strong indicators of an under bet where you could take very good odds. In return, the Schalke scored in 71% of away games themselves goals. What a royal blue success in Franconia would speak. A double chance X / 2 throws too low quotas. 1. Statistical data to be taken into consideration before playing Nurnberg vs Schalke betting tips! It is the penultimate in the standings with 17 points cumulated after 28 stages. He still hopes to reach the 16th place, which offers the chance to save himself from relegation after a barrage, at the expense of Suttgart. Coming after a draw on Stuttgart’s field, this after two rounds marked the first success after more than 6 months. All three staggered victories were managed on their own, 5 draws and 6 defeats being the other results. The participation in the Champions League and the frequent injuries of his major players have weighed heavily this season. He currently occupies 14th place with 26 points, 5 away from the first retrograde position. Victoria succeeded in the previous away on the field of Hannover, the last ranked, was the first in the last 9 games disputed. He does not have an encouraging balance when he has lost 7 games, he drew in 4 and won 3, goal: 15-23. 2. Latest information before Nurnberg vs Schalke! Valenitni, Zrelak, Lippert, Illicevic and Goden will be absent because of medical problems, Vura and Virgil Misidjan are suspended. Schopf and Uth stay at the infirmary, and Serdar is suspended after the two yellow cartridges cashed against Frankfurt last lap. The official Bundesliga website tells you that you are unsure of Sane and McKennie. 3. Nurnberg vs Schalke probable teams! 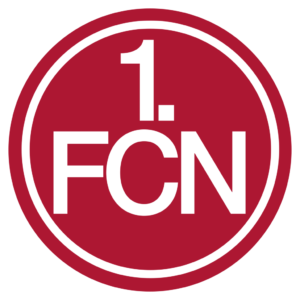 Nurnberg: Mathenia – Bauer, Muhl, Ewerton, Leibold – Lowen, Erras, Pereira, Behrens – Kerk, Ishak. 4. 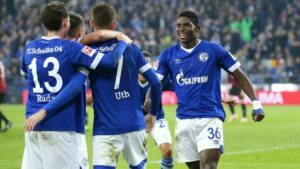 Nurnberg vs Schalke latest direct info! The tournament was won by Schalke with a clear score, 5-2. The previous direct meeting was played in 2016, when the two bands fought in the German Cup, earning the miners then, who were forced to move 3-2. In our forecast we therefore trust the Schalke points in Nuremberg. In our Bet Tip Recommendation, however, we ensure full success with a draw: draw no bet Tip 2. You can also play well under 2.5 goals bets at decent odds. From a BTTS bet we would forget about the many variables. The season is far from being completed for any of the teams that will fight hard to avoid relegation. None excelled at the offensive, but in my choice I relied on the very fragile defense of both. Nurnberg can not afford another wrong step that can make the situation much worse. The other Schalke with a positive result keeps a good match against his opponent in this match. I’m expecting a game on the back, of which the goals will not be missed, but given that it is a betting match, there will be no more than 4 successes on the scoreboard.